Getting married this year? Congrats! Give your guests something to munch on during the cocktail hour with mix-and-match types of popcorn. Other fun, interactive appetizer ideas: a pretzel bar and a DIY baked potato station with sour cream, chives, bacon and cheese. Waffles aren’t just for brunch. Surprise your friends and family with savory passed waffle bites. For toppings, think salmon and dill or sour cream with corn and cilantro. If you’re going for the farmhouse look that’s so trendy at weddings these days, consider doing make-your-own s’mores for dessert. If it’s chilly out, you can also do a customizable hot chocolate station with marshmallows, crushed candy canes and whipped cream. If your wedding is a laid-back, casual affair, consider some classic pizza pie. As a bonus, serve garlic knots or bread sticks on the side. Ever struggled to eat ceviche out of a tiny plastic cup while also juggling a glass of champagne? Make one-bite apps easier to eat by placing small portions in ladles for guests to grab. 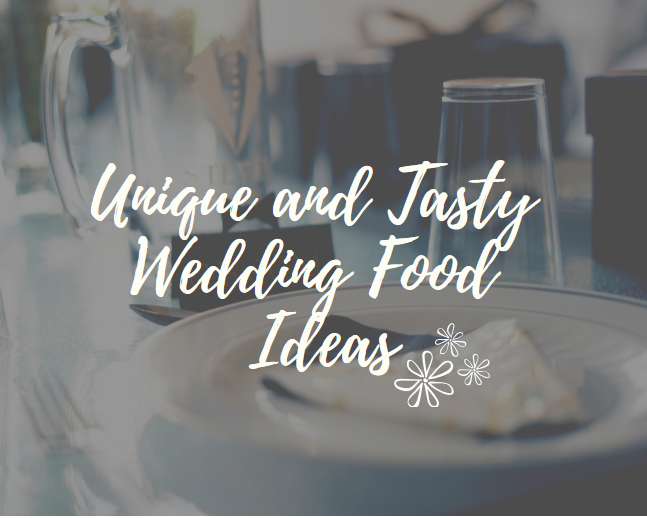 Now that you have some ideas for unique food to serve at your wedding, it’s time to find a location that’s just as special. Key West is the perfect choice—beautiful scenery, great weather and stunning beaches. To book the Key West wedding of your dreams, contact Aaron’s Key West Weddings. We do everything from simple beach ceremonies to all-out gala events. Contact us today!